Zagato's 550 Barchetta is surrounded by much secrecy. She was not officially introduced to the media and the owner took delivery of the car in silence. Luckily she has not been tucked away in some underground garage! Ferrarichat.com member Ashwin Gupta took some shots of her during a "Cars & Coffee" in Scottsdale, Arizona, and uploaded the images to his Flickr account. 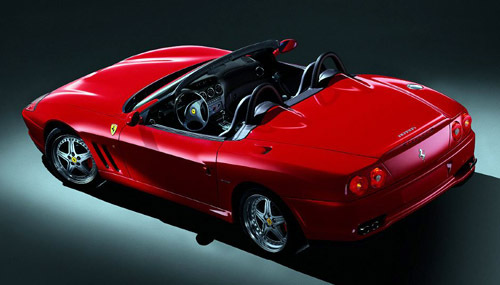 After having built a number of 575 GTZ Coupes, based on the Ferrari 575 Maranello, it seemed logical for Zagato to continue with an open version by applying the same body style to the Ferrari 550 PF Barchetta. We first came to know about this 1.5 million Euros costing open car in September 2009, when images leaked to the online media and practically at the same time the car appeared in Zagato's latest book. The car, however, is said to be around for about two years. When the digital images leaked to some automotive websites, Zagato immediately ordered the webmasters to remove them, but it was too late. The images were already widely spread around the world wide web. Rumours are this secrecy might have something to do with Ferrari not authorizing this car. It's unknown how many 550 GTZ Barchettas have been built, but rumours are there are more than one. 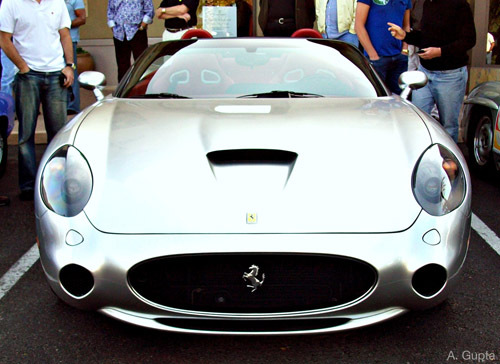 The silver car in question is said to be owned by American Rob Walton, who also owns the 599 GTB-based one-off "Golden Ferrari" by Pininfarina. Thanks to Ashwin Gupta we now know the car is actually being driven and it's nice to know, if you ever pay a visit to Arizona, there's a chance you may catch a smile form this Italian lady with cute dimples in her cheeks. Please keep your camera ready and don't forget to smile back! 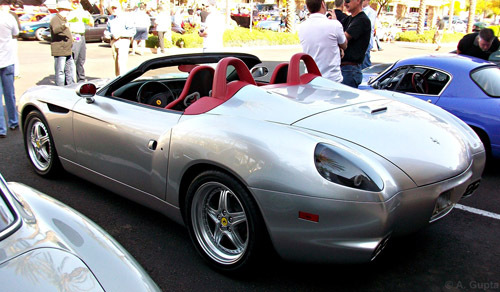 Click here to see more images of the Zagato Ferrari 550 GTZ Barchetta.